The Usos are right back where they belong – on top of the tag team division. With six tag team championships to their name, there’s no doubt that not only are The Usos future Hall of Famers, but they’re going to be considered among the best tag teams of all time. It’s surprising in a way, because just two and a half years ago, they wouldn’t even remotely be in this conversation. 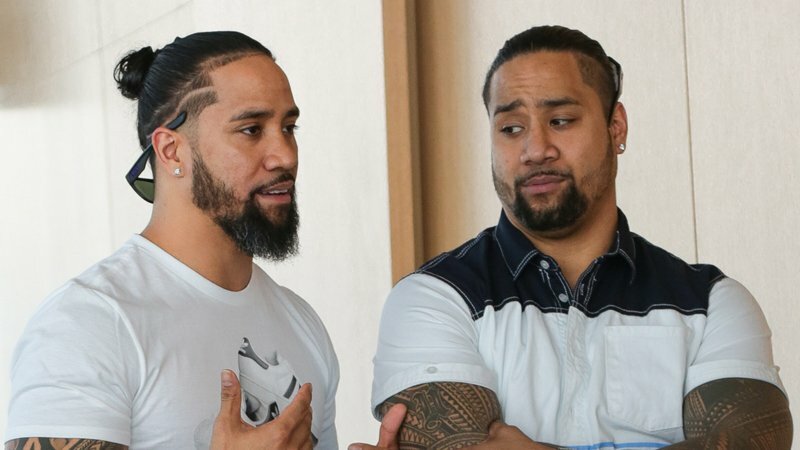 Sure, they already had a couple of tag team titles to their name already, but when we talk about the brand split benefiting superstars, The Usos are in the conversation of the very top names. They were good wrestlers, and they had a very colorful appearance, a nice entrance, and all of that. There was just one problem – they were far too bland. Their babyface persona didn’t really help them too much, and associating with Roman Reigns gave fans even more of a reason to hate them. That’s exactly where WWE and The Usos got it right. Instead of forcing people to like them, they allowed the audience to hate them and their new persona. With the arrival of American Alpha to SmackDown Live, The Usos turned out to be far more successful, despite fans believing that American Alpha would make it big in WWE. The Usos’ heel turn allowed them to add an edge to their persona, and they proved to be natural and charismatic. A week before WrestleMania 33, they won the SmackDown Tag Team Championships, their third title overall. 2017 would mark an incredible run for The Usos as they had a legendary feud against The New Day, with both teams proving to be neck-and-neck on the same level. It was truly a glorious period for tag team wrestling in WWE because both teams brought out the best in each other and they would always constantly one-up the other, proving that they were equals and it was only who was better on the day that made the difference. Ultimately, The Usos won that feud after an epic Hell in a Cell match (one which many consider the best in the PG Era). 2018 would see them attain some success as well, but after WrestleMania 34, they lost the tag titles and wouldn’t win them back until February of 2019. After they beat Shane McMahon & The Miz, i.e, The Best Tag Team In The World, they reclaimed the throne that they had been banished from for a while. The Hardy Boyz actually reunited for the first time in around a year and a half on SmackDown. While Matt Hardy was believed to have retired, he openly stated that he was only recovering from existing injuries. He’s back, and this time he’s on the SmackDown brand. There’s no doubt that The Hardy Boyz will be involved in the tag team picture in some form. They certainly have the name value. Cesaro & Sheamus were champions earlier this year, and they’re still one of the very best teams in the tag team division, RAW or SmackDown. They’re involved in the contenders’ war and they bring something very unique to the table. With frequent tag-ins and masterful psychology, Cesaro and Sheamus have developed great chemistry together, and they’ll definitely have a role to play in the tag team title match on SmackDown. It’s certainly a step-up from losing the titles to a 10-year old child! These two seem like more of a thrown together team, and we’ve yet to see them really prove themselves. Either way, since WWE loves to get everyone on the WrestleMania card, Nakamura and Rusev could find themselves contending for the SmackDown tag titles. They definitely are the least impressive team on the list. These two superstars as well, were more of a thrown-together team. They had no real association in NXT, and they were simply called up to the main roster around the same time. Perhaps WWE felt that they would be a good fit, but here is one team who may not necessarily be contending for the titles, since they also frequently appear on RAW. 2/3rds of the New Day would end up making a statement against the above four teams. Being multi-time champions, Xavier Woods and Big E certainly have a good claim for the tag team titles. They’ve been involved with Kofi Kingston and his WWE Championship pursuits, but they’re definitely going to have more work on the night of WrestleMania. What could happen: With five teams clearly in the way to contend against The Usos, it seems like we could get a major multi-man match, and even the return of the ladder match. With that said, six teams does make it seem like a bit of a cluster, which is why you could possibly see a couple of teams eliminated from the title picture as the road to WrestleMania comes to a close. The Hardy Boyz, The New Day and The Bar are surefire contenders for the SmackDown tag titles at WrestleMania.